Little by little, more people began to fill the Coffeehouse Thursday at 7 p.m. in expectations to hear a live jazz performance. 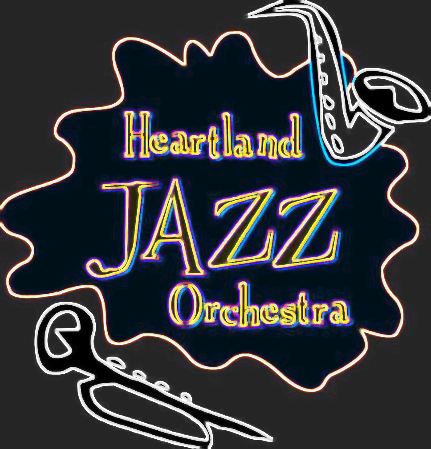 The Heartland Jazz Orchestra, all wearing suits and ties, readied their instruments for a night of upbeat entertainment. As the director, Doug Tidaback, prompted the performers to perform, the dimly lit room became a concert hall filled with old-time jazz. Composed mostly of brass, their trumpets, trombones and saxophones erupted with energy with a smooth professional style. As the audience grew in number, the performance increased in surging radiance. Of the most impressive aspects of the orchestra were their solos. Each one was excellently executed with flying fingers and squinted eyelids. Performing songs which they normally play such as “Take the A Train” and “Blues for Waldo,” they did the classics justice. The talent of the pianist was astounding. The accuracy and speed at which Sean Parson’s fingers moved was jaw dropping. Applause inevitably followed each solo and song due to the impressive nature of their music making. With their bassist, Lindsay Wade, still in high school, the orchestra had talented players old and young. Tidaback has been playing music for years and has performed with Harry Connick Jr., Natalie Cole, Aretha Franklin, The Temptations, The Supremes, and Ella Fitzgerald. With his guidance, the tempo stayed accurate and the volume was kept in check. Their guest artist at the Coffeehouse was Tom Garling who played the trombone. There was no way to avoid the sheer intensity at which this man performed. Pushed and pulling the slide at speeds the eye could not comprehend, Garling’s eyes clamped shut as he become lost in the moment of making memorable music. The collaboration of so much talent not only kept the full house awake, but also kept their toes tapping and heads bobbing to the beat of classic jazz music.